East meets west, Canterbury meets Tokyo and Soft Machine meets Daimonji to create 60 minutes worth of improvised jazz, rock and prog fusion on this excellent release from Hux. As the bio says, this was recorded when Hopper and Dean had a day off while touring Japan with Soft Works in 2003. 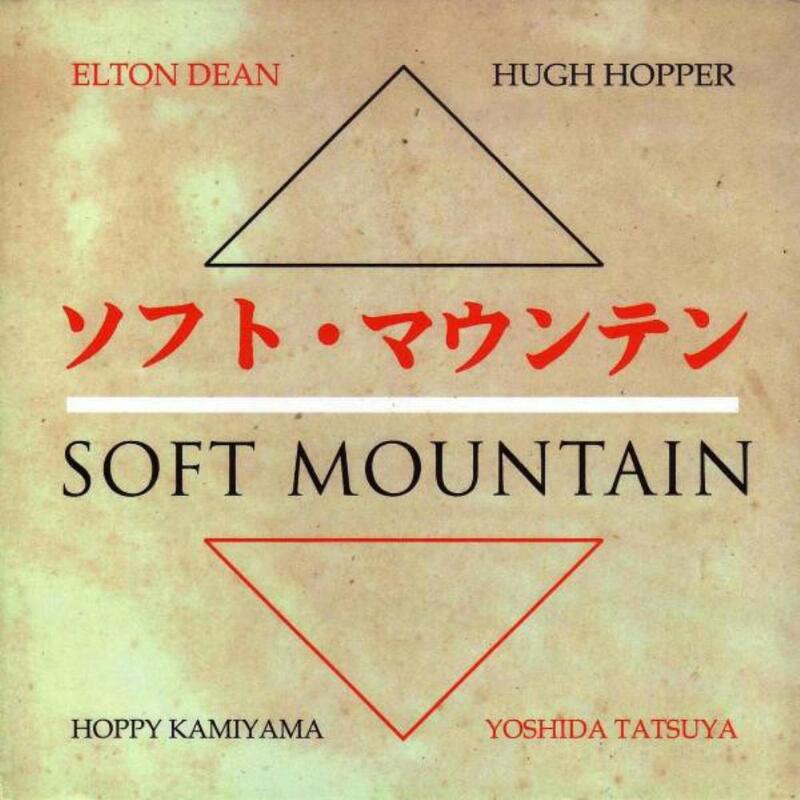 Hopper contacted Japanese underground legend Hoppy Kamiyama, who roped in fellow legend (and fellow member of Daimonji and Jun Togawa) Yoshida Tatsuya, and the whole thing was recorded in two 45 minute sessions with a short break in between. The improvisational set up is an unusual one. Although the British musicians had played with each other for many years, as had the Japanese, the bassist and drummer had never met before, and neither had the keyboard player and the saxophonist, which created an interesting tension in both the rhythm section and between the melodic lead instruments. All four musicians play superbly, but most of the time it is Elton Dean's fast and furious blowing that takes the lead. Kamiyama plays a lot of piano and electric piano for most of the album, and especially on the first piece lays down some jazzy chords for Dean to work over. When he switches to synths, as he does about 12 minutes into the first piece, it's highly effective and gives Dean a chance to catch his breath. Hopper and Yoshida gel into an efficient rhythm section, although Yoshida's drumming is a little heavy handed at times - as he's proved in his work with the Sakoto Fuji quartet, he's capable of adapting his style to the subtleties of acoustic jazz, but here he seems to be more in Ruins mode. This works to good effect in the second part, which opens with a sax/bass/drums trio that recalls the Zorn trio Painkiller (who Yoshida also plays with occasionally) but there are also times when a more delicate touch would have worked better. Towards the end of the second part there is a superb duet between Dean and Kamiyama on acoustic piano which is possibly the highlight of the album, although the standard is high throughout. The editing seems to have left the music intact, each piece only fading out when, presumably, the musicians lost the thread or things broke down, although it sounds like the opening of part 2 may have been cut as well. To come up with 60 minutes worth of music this good in 90 minutes is a testimony to the abilities of the musicians involved. Although it's improvised, the music on Soft Mountain rarely degenerates into atonal squawking. The best comparison is perhaps Daimonji, who have a similar talent for spinning remarkably coherent music apparently out of thin air. Fans of the wilder side of Soft Machine and the Canterbury scene will enjoy this, as will afficianados of the Japanese underground. A fine album, and a fitting memorial to the brilliant Elton Dean.